Fast is good. Fast and right is even better. What does VW Service Xpress have that those quick lube guys don't? Well we're fast just like they are. We're convenient just like they are. But what sets us apart is our VW-Certified Technicians using only Genuine Volkswagen OEM Parts. So you know your oil change at City Volkswagen is done right. Oh, and did we mention there's no appointment necessary? 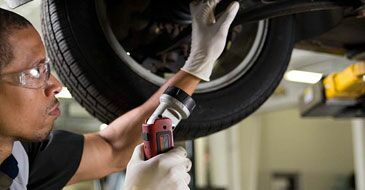 If your Volkswagen needs a quick lube in the San Diego area, come to City Volkswagen. 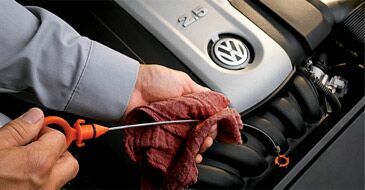 City Volkswagen has VW Service that fits your schedule. Here's some good news for your car. Participating Volkswagen Dealers are offering VW Service Xpress. It's fast, it's convenient, and it's run by friendly people you trust. Unlike those quick lube places. Oh, and there's no appointment necessary. So when you need service in San Diego, bring it to the people who know your Volkswagen best, City Volkswagen. Service. Done fast. Done right. And priced right too. Where else in the area can you get fast, convenient service done by VW-Certified Technicians using Genuine Volkswagen OEM Parts at a competitive price? Certainly not those quick lube places. And there's no appointment necessary. 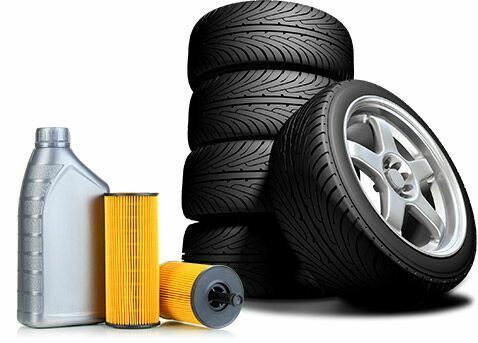 Oil Change, Tires, OEM Parts at City Volkswagen. Volkswagen Service Xpress at City Volkswagen is designed to give you peace of mind. We're here when you need it. You know you'll get your tire service or oil change done quick — and done right too. So stop in to your participating VW Dealer in today. Or tomorrow. Or the next day. Whenever your schedule permits. We're ready when you are. And there's no appointment necessary.